Can it be a coincidence? 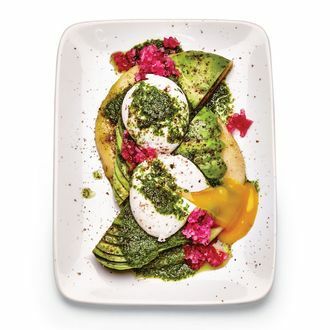 America is entering an avocado apocalypse, and Nick Morgenstern has decided that the end is near for the avocado-powered El Rey Coffee Bar & Luncheonette. The once trend-setting coffee shop will close on November 29, after five years on the Lower East Side. Under its former chef Gerardo Gonzalez, El Rey become one of those tiny New York places whose footprint on the city’s culinary scene dwarfed its actual square footage (350). His blend of Cal-Mex and health food (vegan chicharróns, a vegan Caesar with nutritional yeast) captured the zeitgeist early in this decade — as well as the hearts and mouths of, it seemed, most of the culinary cognoscenti. In his one-star review, New York Times critic Pete Wells wrote that after trusted friends pestered him to check it out, he discovered that “the food is exactly what I feel like eating.” Gonzalez left El Rey in the spring of 2016 to open his full-service restaurant Lalito (originally Lalo), but has since left that restaurant and, as of last month, has left New York, as well. El Rey persevered without Gonzalez for the last two and a half years, though it was no longer the hyper-trendy spot it once was. They continued to serve his most popular dish, the avocado del Sur, but the menu was otherwise more straightforward. In a statement shared by a rep, Morgenstern says he is closing El Rey because of an “inability to strike a new agreement” with his landlord, and in order to focus on growing Morgenstern’s Finest Ice Cream. Last month, Morgenstern opened a much bigger flagship scoop shop with composed desserts and 88 flavors of ice cream.